image changes. The resolution is optimized for window size and speed of delivery. power of an operator’s PC. An operator can size camera windows optimally for a given resolution. menu appears on the video. See figure 16. 2. 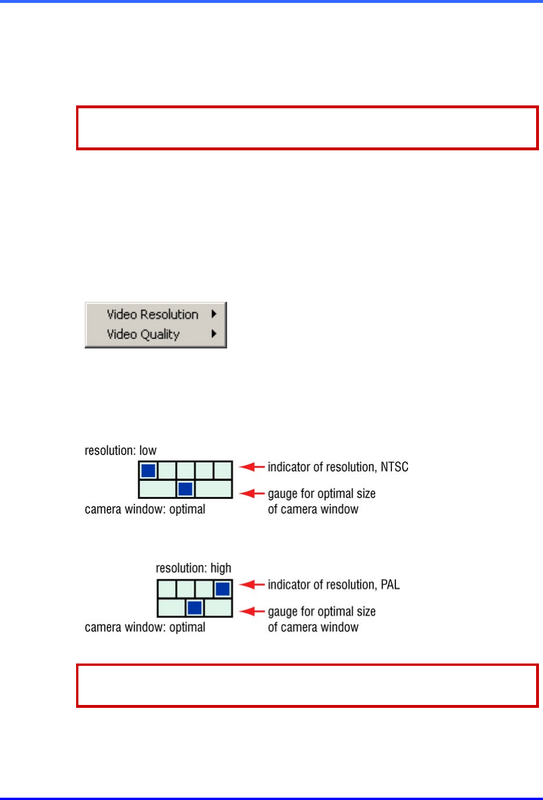 Point to, or click Video Resolution to display a list of resolutions. 3. Click a value. The menu vanishes and the camera window is sized optimally. Fig. 16. Menu available in a camera window during a Live session. between. The icon is shown in figures 17 (for NTSC) and 18 (for PAL). Fig. 18. Resolution gauge for PAL: one of four resolutions is dynamically assigned.